More and more patients are requesting biocompatible restorations and removable prosthetics . Awareness of this is continually growing thanks to the countless reports on the common use of worrying chemical additives in foods and everyday products. The ever-increasing amounts of chemicals, additives in foods and environmental toxins are an increasing burden on our population. For this reason, more and more patients ask about acceptable and metal-free materials for their dentures and restorations. In restorative dentistry, metal alloys such as gold, cobalt-chromium, nickel-chromium alloys and amalgam (mercury alloy) due to their good working properties are the most used dental materials from which crowns and bridges, as well as frameworks for removable dentures are made. These materials can in sensitive patients lead to thermal effects, metallic taste, and allergic reactions. Usually these allergies are not connected with these materials that have been inserted into the patient. A sharp rise in allergies, intolerances and more frequent symptoms of metal intolerance have led to a rethink in the selection of dental materials for restorative dentistry. Today, our team of dental technicians and our dental clinic can offer metal-free solutions, which a few years ago would have been unthinkable. Functional Orthotic Design works closely with Dentists whose suggestions are then developed by our lab technicians . This collaboration provides an extensive, high-quality and optimally tuned range of products suited to the needs of allergy sufferers, accompanied with a range of products for aesthetic and stable dentures. 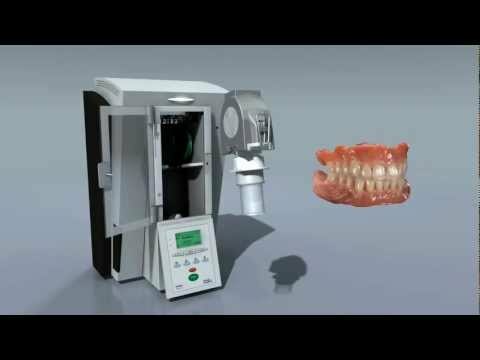 The Thermopress 400 System combines materials with good biocompatibility, coupled with aesthetics, functionality, and offers an optimal solution for each patients new denture. Studies on the negative effects of metals in the mouth such as the gold, cobalt-chrome, nickel-chrome alloys and amalgams (mercury alloys) in established use in restorative dentistry, have also become known to the public. It has been proven that alloys can lead to undesired and allergic reactions in sensitive persons. There present as thermal effects, a metallic taste and galvanic pains (‘shocks’) which can generate up to 1000 millivolts. Above all, the use of different metals (alloy additions) in the mouth results in stronger current differences and reactions. The sharp rise in allergies, intolerances and increasing symptoms of metal intolerances have finally led to a change in opinion with regard to the choice of dental materials for restorative dentistry. The solution to this problem lies in the use of biocompatible materials such as ceramics in fixed restorations and hypo-allergenic polymers for removable restorations. The benefits of the mostly amorphous, transparent materials whose natural colours, transparency and opalescence guarantee an optimal red-white look, so that the through-dyed tooth and gum-coloured stable restorations fit perfectly into the remaining teeth. Patients’ feelings that they are ‘like their own teeth’ intensify into deep feelings of satisfaction. In restorative dentistry, metal alloys such as gold, CrCo, amalgam are important materials due to their good properties. Thermal effects, metallic taste, and allergic reactions caused by dental alloys in the mouth were treated only secondary. Only the strong increase of allergies, intolerances and more frequent symptoms of metal intolerance have led to a rethink in the selection of dental materials for restorative dentistry. What is the Thermopress 400 injection moulding system? The injection moulding technique, or more correctly, injection moulding is a process in which under very high pressure heated high-performance thermoplastic materials are injected into a hollow mould. Until now, this technology is only possible with the help of very large industrial machines. In 1958, the first attempt was made to use industrial moulding technology for the manufacture of dental prostheses. The continuous development has made it possible to bring a very powerful injection moulding machine onto the dental market. Functional Orthotic Design now utilises the first injection moulding machine of its kind, working without an external source of pressure, for use in our dental laboratory. One efficient injection moulding system for five biocompatible materials and infinite indications. Thirty years of experience in working with plastics in dental technology have been incorporated into the fifteen years of development and optimisation of this sophisticated injection moulding system .We use this system Thermopress 400 to provide the Australian market with well-fitting, homogenous and biocompatible restorations. The injection moulding device ensures a first class performance in terms of material processing thanks to even pressure and stable temperature control. ‘Health begins in the mouth’ – a sound, healthy oral flora in combination with functional hypo-allergenic restorations is the best way to ensure physical health and vitality. Thermopress 400 is a compact, freely programmable injection moulding device operated without the need for an external source of compressed air. The predefined, safe manufacturing process uses special flasks and cartridges pre-filled with granules in order to prevent harmful influences. Contact allergies (eczemas) – known to be triggered by traditional manufacturing process such as those used with chemoplastic substances- are therefore excluded. Contrary to chemoplastics (powder-liquid process or hot polymerisation), high-performance polymers have minimal or even no monomers. This restoration offers not only allergen-sensitive patients the high tolerability of a metal-free, biocompatible, aesthetic and stable restoration, but also a preventative solution for all other patients. What are the benefits for the patient? The variety of medical materials used for the preparation and processing of dentures used to lead to allergic reactions in sensitive patients. The materials used in the injection moulding technique, called thermoplastics allow the dental technician without the use of chemical additives or the use of catalysts to make dentures for sensitive patients. This option, in light of the strong rise in allergies is a unique selling point for the laboratory. The thermopress 400 system allows for gentle processing of biocompatible materials into high quality, metal-free restorations. This means that it is unnecessary for metal retaining elements spoiling aesthetics in prosthetic restorations. For the Thermopress 400 System, there is a choice of five different thermoplastic materials. There are many technical dental indications that can be realised with this large variety of materials.